Marvel is really raking in some cash while thrilling fans of their superheroes this year! People haven’t even got over ‘The Avengers’ and now they’ve got Spidey to enjoy. I don’t really have a favourite superhero but as with a lot of people, Spiderman has got a special place in my heart even though I have always felt like he was at a disadvantage; imagine him trying to ply his trade in Ibadan or even Lagos mainland where high-rise buildings are limited! Anyway, with this installment of Spiderman, I was really taken back to the days when I would wake up early on a Saturday morning to watch the Spidey cartoon on Cadbury’s breakfast TV. 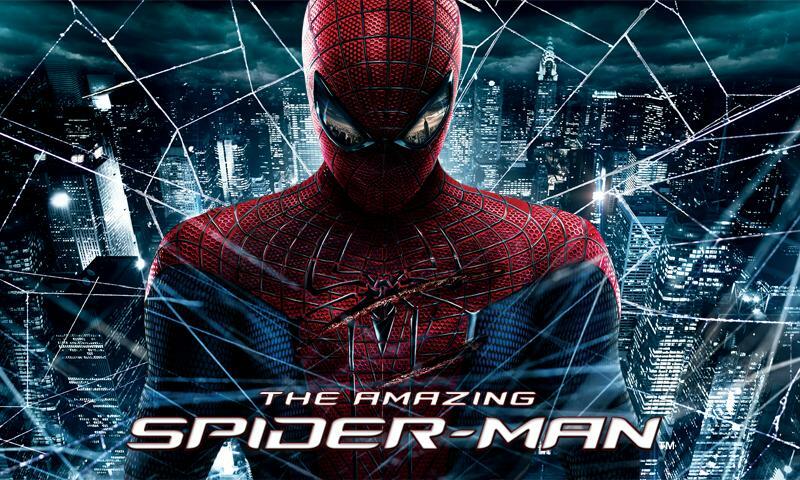 This was something the previous set of movies failed to do for me unfortunately, they were more like Spiderman made as a movie whereas this one was more original and stuck to the way the cartoon/comic books were; Spidey was talkative, funny and created his web-slinger! unlike the previous movies where he was generating web shots magically from his body. Well kudos to the makers of ‘The Amazing Spiderman’ for originality and sticking to the comic books/cartoons more than the makers of the previous three movies. [toggle title=”Plot/Production“]If you know anything about Spiderman or watched the 1st movie, then you would be able to predict about 50% of the movie because let’s be honest, they can’t change the basic story; but I’m not going to lie to you, even though I knew some certain things would happen, I still could not help but enjoy the unfolding events thoroughly. The new twists here and there made it seem new together with the wit and portrayal of the new actors made it feel really fresh. I do have one problem with the plot though, Peter spent a large part of the first half of the movie trying to catch the guy who killed his uncle but somewhere along the line that bit of the story just fell away; I really do not like unanswered questions especially after watching 2hrs 25mins of a film! It’s going to be really hard not to compare this movie with the first Spiderman movie and I guess I’ve done that thus far in the review but Andrew Garfield to me was such a great choice to play spider. He looks the part, acts the part, felt like Spidey and could pass for the Spidey I knew before Tobey any day (not saying Tobey wasn’t good because he was); it’s very obvious from Andrew’s acting that he was either a really big Spiderman fan before getting the part or he delved into everything Spiderman once he got the part. The quirkiness, geekiness, and wit were just on point. I think the last three movies made us kinda forget how funny Spidey really is as a superhero. I’m really looking forward to seeing Andrew in the rest of this batch of movies because he really owned the role. As a friend of mine put it, WOW!! JUST WOW!! A lot of people may have been wondering, ‘Who is Gwen Stacy?’, ‘I thought it was Mary-Jane?’, but let me tell you this, before there was Mary-Jane, there was Gwen! She was the original love interest of Spiderman as created by Stan Lee and is given her well deserved spotlight here. It may be interesting to note that in Spiderman 3, this was reversed and Gwen was used as the lab partner Peter tried to use to make Mary-Jane jealous. Movie producers sure have a way of taking things and mixing them up the way they feel! SMH!!! Gwen is Peter’s classmate and fellow geek, the one who was by his side all through his transition and getting to know himself as Spiderman and even if the character has not really had the chance to get a proper following, the portrayal of the role by Emma Stone will sure make that possible. Emma is a great actress, and since Spidey is the superhero we can expect comedy from, her funny woman status sure came in handy. warped and evil lizard, a typical Jekyll/Hyde situation. This is a situation where the actions and circumstances in the face of a person can make him lose track of who he is. Although I’m impressed with Rhys, I felt like this character was a bit disjointed and was making decisions here and there. Nice, villain; Not so special or great but OK for the 1st installment. Uncle Ben and Aunty May Parker played by Martin Sheen and Sally Field respectively. Two veteran actors play this role and do so quite well. At times I feel like there’s a bit of tenseness between them and Peter but that can be understood when one realises the underlying hurt within Peter about his parents ‘abandoning’ him with them. Uncle Ben was a cool uncle though AND a Martin played this one quite well. Sally Field is one actress that I love to watch act. She just comes across to me as someone who fits whatever kind of mother role she’s given. [toggle title=”Supporting Cast“]Notable amongst the supporting cast are Irrfan Khan as Dr. Rajit Ratha and Chris Zylka as Flash Thompson. I should seriously go watch this movie! Great review, really liked the bit where he can’t ply his trade in lagos. Lol! LOL! I think I have finally seen someone who thought the same thing as I did while watching cadbury television in the early days: this niggah’s cool and all that, but if he were to do that swinging from skyscraper to skyscraper crap in Nigeria, mehn, he’s so screwed! PS: True on that one. I wondered how Spiderman instantly decided that going after his uncle’s killers was no longer as pressing as he made it sound in the beginning. My rating? 4.0/5.0. Good movie. Lol. I tend to enjoy reading your comments Mr Vunderkind. Thanks I really appreciate them! So, erm. Yours truly is a pathetic movie watcher (let’s just agree that I am a very busy man, alright) and I watch movies ten years after they are produced (best case scenario). I have been meaning to see that Titanic Movie. The original one. I’ll get round to it soon. I’ve gotta find out just who Jack and Rose really are (apart from the fact that it sounds like code for having an erection after masturbating…”jack and rose” hehe). Aaaaanyway. I digress. I read my good friend, MoviePencil’s blog today, and saw a review for a movie I have actually watched. Yay (the fact that I watched it several months after its release is not important, honestly). ‘Course, in my elation, I left a comment, and I have to say, the movie review he did was socks-knocking-off awesome. I think I like the review better than the movie (snigger). I had to reblog it. I love you all that much. Really.